Dermatologist-cosmetologist, a qualified specialist in the field of laser technologies in aesthetic medicine. Member of the Association of Dermatologists and Cosmetologists of Ukraine, Association of Laser Medicine and Cosmetology, Association of Mesotherapy in Ukraine. 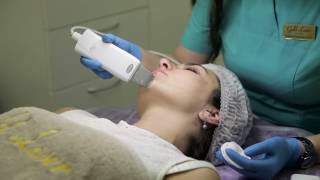 Certified specialist in the application of laser technologies in dermatology and aesthetic medicine; hardware techniques; laser technology of rejuvenation, removal of vessels, scars.